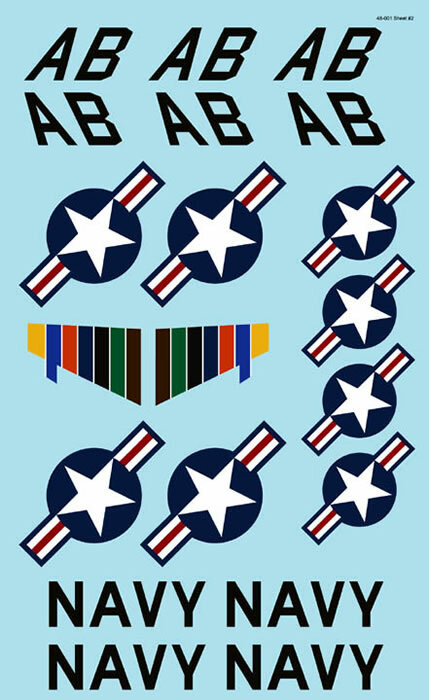 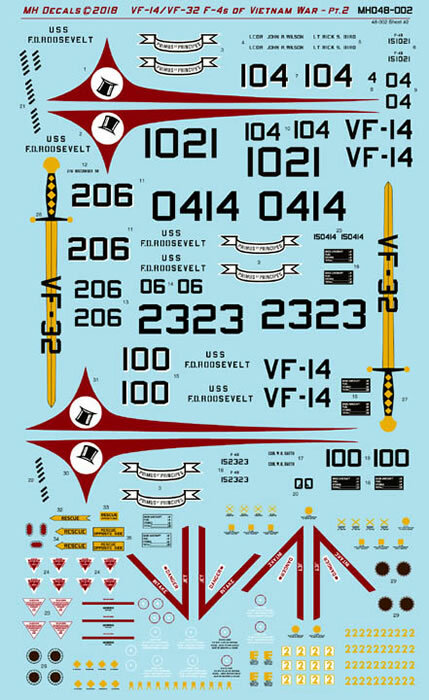 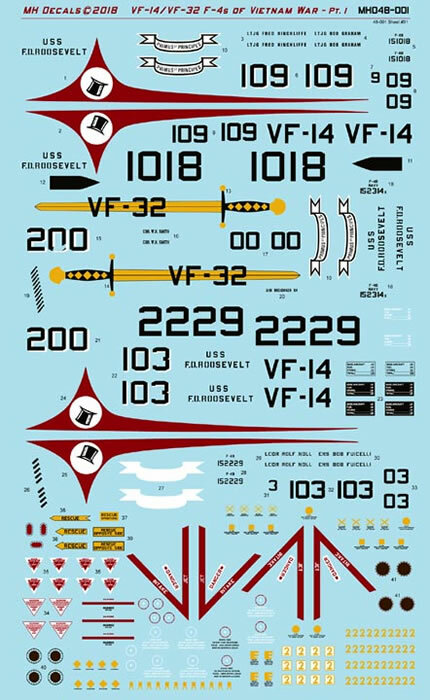 The first two decal sheets, in 1/48 scale, cover two USN F-4 units often neglected or ignored at all by other decal manufacturers, the VF -14 and VF-32 of the CAW-1. 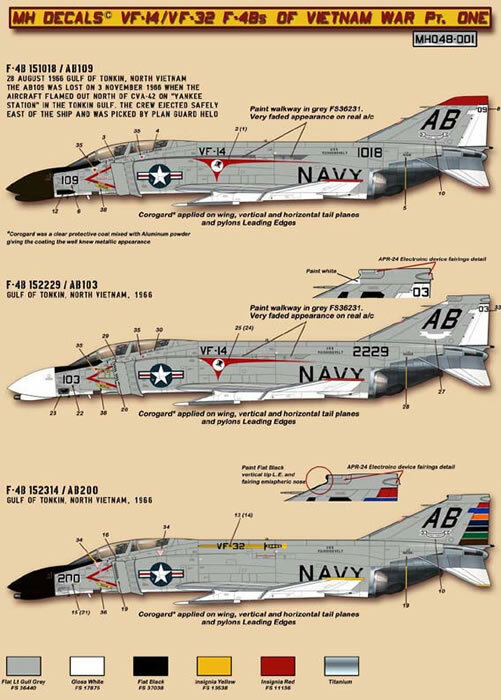 My sheets are relative to the Vietnam War deployment of Carrier Air Wing One during the 1966/'67 and are clearly inspired by the photos and iconographic materials shown in the NAVA 3 book, "FIRST AND FOREMOST An illustrated History of CARRIER AIR WING ONE Part One 1957-1973" published by our Model Publishing in 2006! 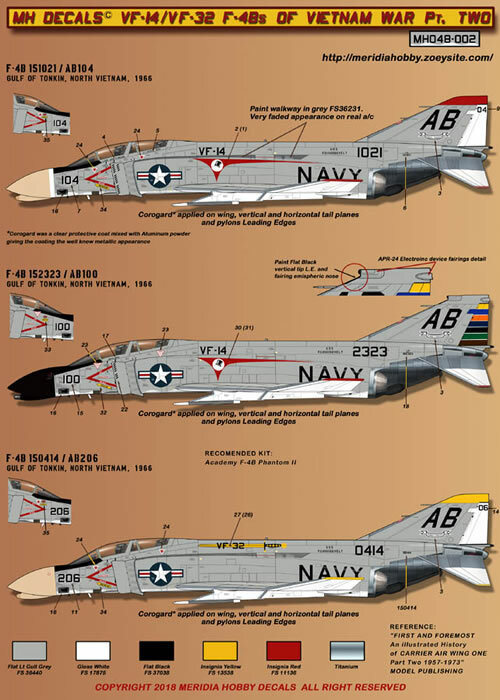 Sheet format 4.75" x 7.75"
MH048-002 "VF-14/VF-32 F-4B PHANTOMS OF VIETNAM WAR - PT. TWO"